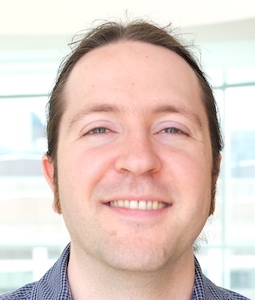 Jason Turner-Maier is an associate computational biologist in the Vertebrate Genomics Group at the Broad Institute. He has been involved in a wide variety of projects, ranging from the investigation of patterns of somatic mutation in canine lymphoma, to annotation of the Weddell seal genome, to clustering ferret samples for genetic relatedness. His typical contributions include pipeline development, analysis design and implementation, group computational resource management, and computational instruction. He has been with the group since 2010, and received his Master’s degree in Biomedical Informatics from Stanford University. When not converting files into similar, but slightly different formats, he enjoys strategy gaming, watching movies, and tasty cake.